Santorini may be the first name come to your mind when talking about Greek Islands. But, in fact, there are many Islands in Greece that are as beautiful as Santorini. Here the list of 10 most beautiful Greek Islands to visit. 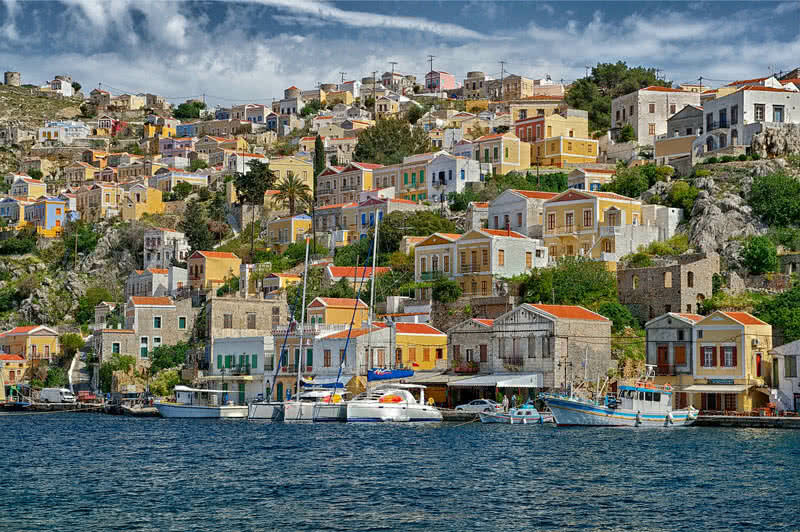 The picturesque town built on the hills surrounding the Gialos port is the main attraction of Symi Island. There you can see colorful houses and a number of beautiful churches. The best view of the town can get from the boat. Visit Panormitis monastery in the Southern part of the Island. This amazing monastery was built back in the 15th century and dedicated to Archangel Michael. The monastery has a very peaceful environment and its walls are decorated with paintings from Byzantine empire (c.330-1453). Home to a number of beautiful beaches with crystal clear waters. Nos, Emborios and Pedi are the most popular beaches in Symi Island. These Islands are perfect places for relaxation, walking, swimming and other recreational activities. Boat riding is the best way to get around the Island. If you don’t like boats, you can hire a scooter or bike in the Island. Elafonisos is a small Island located in the Southwest of famous Crete Island. This Island covers only an area of 7.7 square miles. The sandy beaches with clear turquoise waters are the main attraction of Elafonisi Island. The Simos beach located in the Southern part of the Island is the most famous one. It has very calm and clear water and striking gold colored sand. Lefki, Kologeras, Kontogoni and Sarakiniko are other beautiful beaches in the Island. The Island offer a lot of places for camping. Take a bst ride to enjoy the crystal clear blue waters and vast expanse of white sand of Elafonisi beaches. Elafonisi is one of the best places in Greece to enjoy fabulous Sunsets. The Lefkada Island located in the Western Greece is famous for its beautiful beaches, historical sites, scenic villages and monasteries. Lefkada is home to 21 spectacular sandy beaches. They are definitely among the most beautiful Mediterranean beaches. Apart from the great beauty, the beaches of Lefkada provide many activities for the visitors. The Porto Katsiki beach located 26.7 miles West of Lefkada town is the most popular beach in the Island. It is a well maintained, family friendly beach that surrounded by high cliffs and lush vegetation. 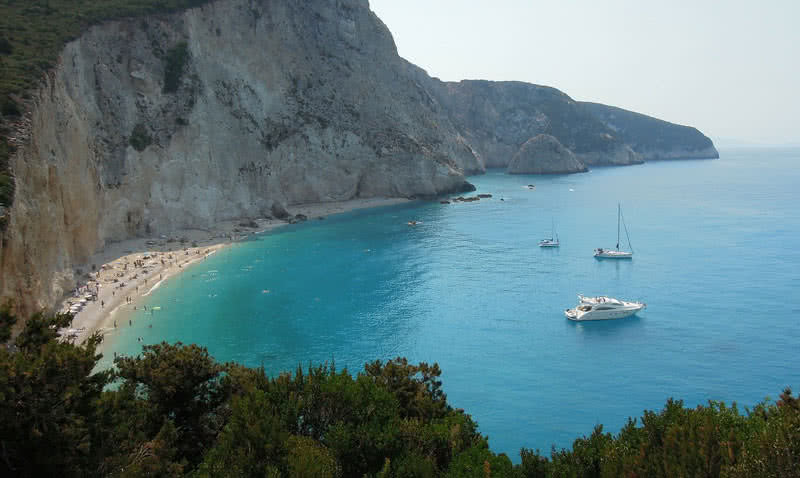 Egremni, Kathisma, Agios Ioannis and Mylos are other beautiful beaches in Lefkada Island. Visit the magnificent Agia Mavra castle that built back in 14th century by Sicily ruler Loannis Orsini. It is one of finest examples of fortress architecture. This amazing castle is surrounded by two lagoons. The Dimosari waterfall in Nydri town is a must visit attraction in Lefkada Island. The walking trail to the foot of this cascading waterfall is very scenic. The water flow rate gets down in the summer season. Still the tourist come here to swim in the pool at the foot of this waterfall. More than a beach destination, the Corfu Island in The Northwest coast of Greece is famous for its rich culture, historical sites and natural beauty. The old town of Corfu is a UNESCO World Heritage Site that contain two magnificent Venetian forts. This amazing town features a maze of narrow streets. The Esplanade, one of the largest public gathering square in Europe located within this town. You can also find a huge collection of archaeological findings in the Corfu archaeological museum of the town. 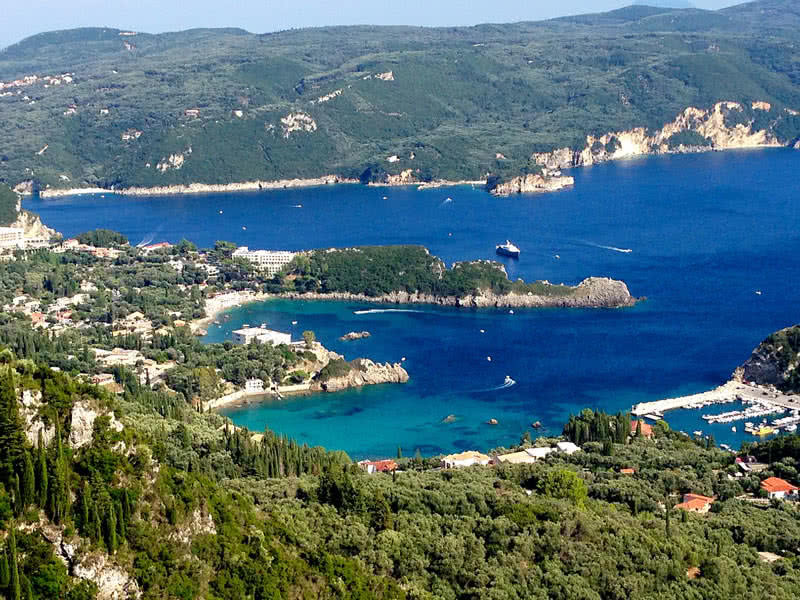 This Island is truly a paradise of hikers with 136 miles long Corfu trail. It offers hidden attractions of the Island including thick forest, majestic cliffs, and river valleys. There are 57 spectacular beaches in Corfu Island. In addition to clear waters and the vast expanse of sand, these beaches offer many water sports for the visitors. The Paleokastritsa, Agios gordios, Glyfada, Myrtiotissa and Nissaki are some of top Corfu beaches. 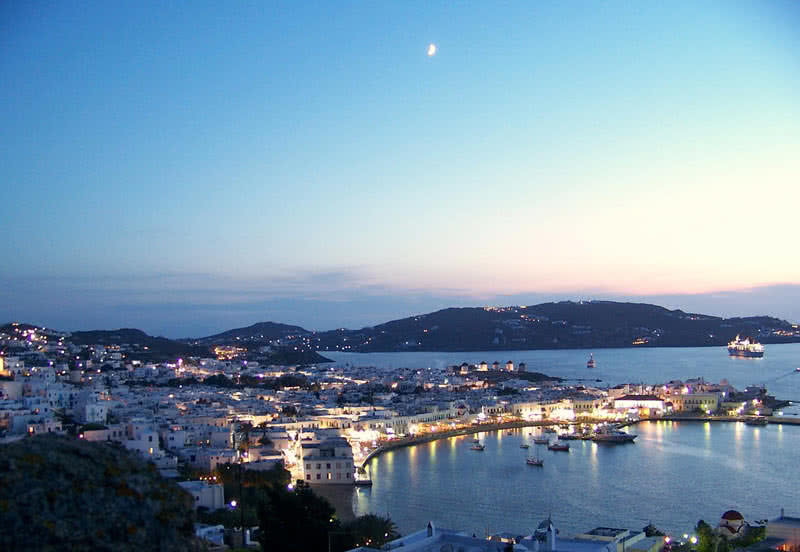 Located in the Southwest of the mainland of Greece, the Mykonos Island is famed for its beautiful sandy beaches, picturesque villages, vibrant nightlife, natural attractions and the variety of activities. Windmills are one of the most popular attractions of Mykonos Island. Out of 16 windmills of Mykonos 7 are situated on the hills of Chora town. They are truly an amazing sight to watch and to photograph. They look stunning at Sunsets than daytime. Visit the picturesque little Venice town. You will see gorgeous medieval houses situated on the edges of the blue sea. The view of this town from the sea is just stunning. There you can also find many bars and restaurants. Little Venice is also known for being a perfect spot to watch Sunsets. Mykonos is the home of many amazing churches. The most amazing one is the Panagia Paraportiani church located in the Mykonos town. This beautiful, whitewashed church was built between 15th and 17th century. Panagia Paraportiani church actually contain 5 different churches, four churches at the ground level and one at the top level. Mykonos has more than 25 spectacular beaches with golden and crystal clear waters. The paradise beach is the most famous one. This beach is famous for its soft golden sand and clear blue waters. With a number of amazing bars, clubs and restaurants, it is a fantastic place for night party. Super paradise beach, Elia, Lia, Kalo Livadi and Platis Gialos are other famous beaches in Mykonos. Kefalonia is the biggest Greek Island in the Ionian Sea. With great mountains, breathtaking landscapes, amazing beaches, stunning monasteries and friendly people, Kefalonia is a must visit tourist spot in Greece. 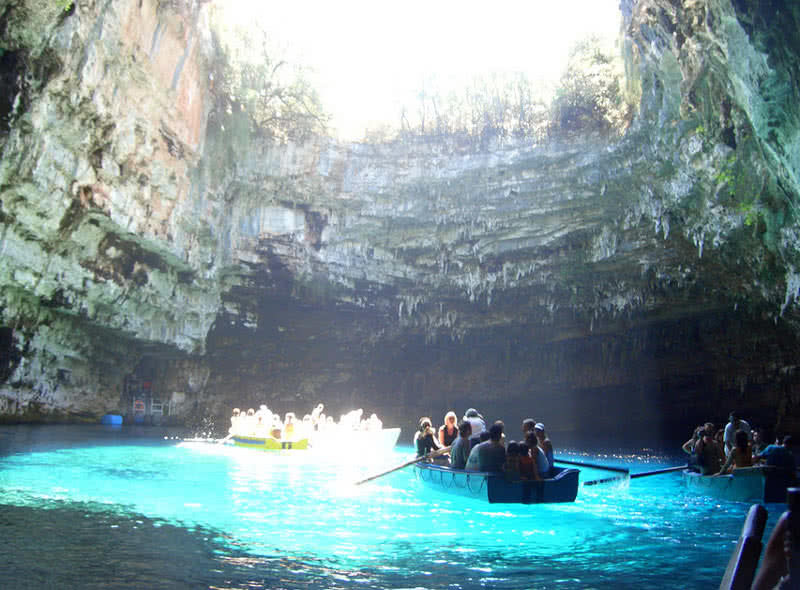 The breathtaking underground cave of Melissani is the most significant tourist attraction in Kefalonia Island. It is 3.5 kilometers long and 40 meters wide. There is also a magnificent lake within the cave. The 25-30 meters deep lake has electric blue waters, create a magical illusion when Sunlight come through the opening above the cave. You can take the boat trip to this unbelievably beautiful site. Inside the cave, you can see amazing formations of stalactites. Kefalonia is a perfect place for enjoying sea kayaking. The calm, clear waters of the Island offer a unique kayaking experience for you. You will see a number of remote beaches and cave system on taking a kayaking in the Island. The clear waters of Kefalonia also make it as the finest destination for scuba diving. There is a number of diving center in the Island. If you don’t have a diving license you can get it from these centers. On diving, you will see the breathtaking underwater world of Kefalonia. Visit the spectacular Myrtos beach in The Northwest part of the Kefalonia. Surrounded by the stunning metamorphosed limestones, this beach has clear, bright blue waters and expanse of smooth white pebbles. It is one of the most photographed beaches in Europe. The Greek Island of Rhodes is famed for its rich history, ancient ruins, small picturesque villages and clear, beautiful beaches. The palace of the Grand Masters is the most significant attraction of old town of Rhodes. This amazing palace was built by the Knight of Saint John in the 14th Century. There are 158 rooms in total. All are highly decorated with multicolored marbles. Visit the archaeological museum of Rhodes to see amazing collection of ancient artifacts that excavated from archaeological sites across the Island. The butterfly valley in the Western part of Rhodes Island is an amazing nature preserve that you should visit. It is a beautiful lush green valley. From June to September visitors flock into this valley to see thousands of butterflies of Quadripunctaria Poda species. Walk along the narrow paths to experience the cool and calm environment of this valley. While walking, you will also see small waterfalls and rivers. Visit the pretty village of Lindos that built on a hill. You can see many beautiful whitewashed houses along the slope of the hill. You can explore this village through the pebble paved, narrow paths. On the top, there is an ancient acropolis that overlooking the village. There you will find many archaeological remains from the past. To relax and to enjoy the best snorkeling, go to the St Paul’s bay in the village of Lindos. This wonderful bay has clear crystal clear waters. Apart from snorkeling, you can also take glass-bottom boat ride in this bay. Unquestionably, the breathtakingly beautiful Navagio beach is the most popular attraction in Zakynthos Island. This beach is famous for its clear blue waters and golden sands. Surrounded by high limestone cliffs, this beach can only be reached by boats. 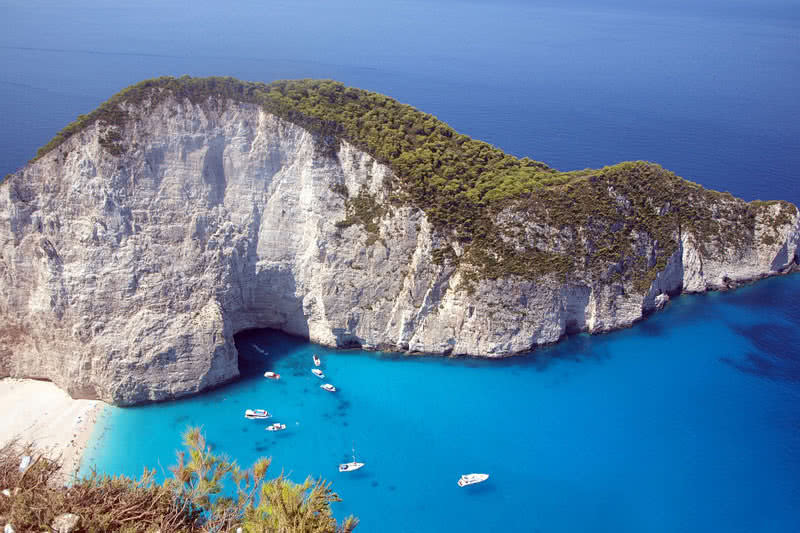 Navagio beach is also called as shipwreck beach because there is a wreck of a ship called ‘Panagiotis’ which is believed to be abandoned by the pirates. Visit the magical Islet of Marathonissi located in the Laganas Bay. It is also known as ‘Turtle Island’ because of its turtle-like shape. This islet has no inhabitants and it can be reached by speed boats. There are two gorgeous beaches in the turtle Island – One is pebble and another is sandy. You can enjoy sunbathing, swimming, walking and snorkeling in these beaches. The Porto Limnionas bay near the village of Agios Leon is nothing less than a paradise. It is a stunningly beautiful bay between the cliffs. With cool, clear blue waters, it is an ideal place for swimming and diving. Through the clear waters, you could explore a few underwater caves in the site. The blue caves along the Northwest coast are one of most beautiful natural wonders of Zakynthos Island. They are named after the reflection by the striking electric blue waters inside them. The blue caves can be only reached by boats. Visit the lovely village of Bochali that overlooking the beautiful sea. This village has a number of restaurants from where you can enjoy delicious Greek dishes. The view of the harbour bay of this village at night is simply stunning. With many clubs, bars and restaurants, you can enjoy a vibrant night life in the Zakynthos Island. Many tourist resorts across the Island also offer pubs and discos for the tourists. Located in the Southern Aegean Sea, the Crete is the largest Island in Greece. With impressive mountains, gorgeous valleys, splendid beaches, rich history and friendly local people it is among the top tourist destinations in Greece. 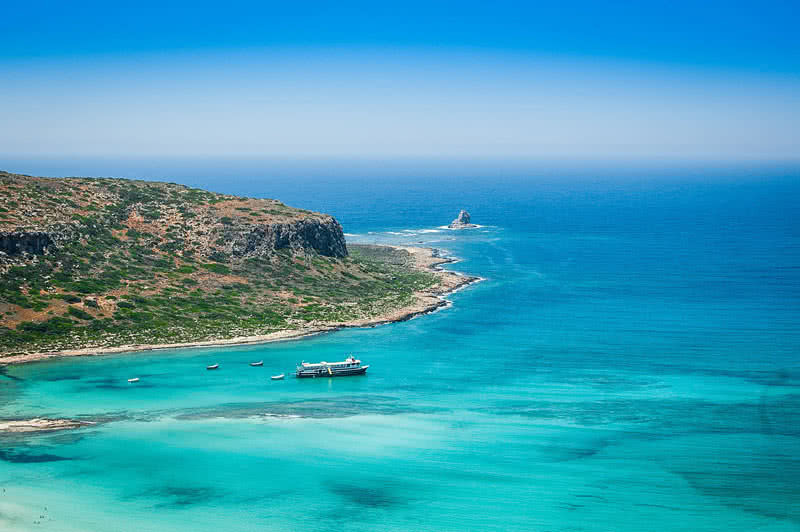 The coastline of Crete stretches over 650 miles with hundreds of amazing beaches. 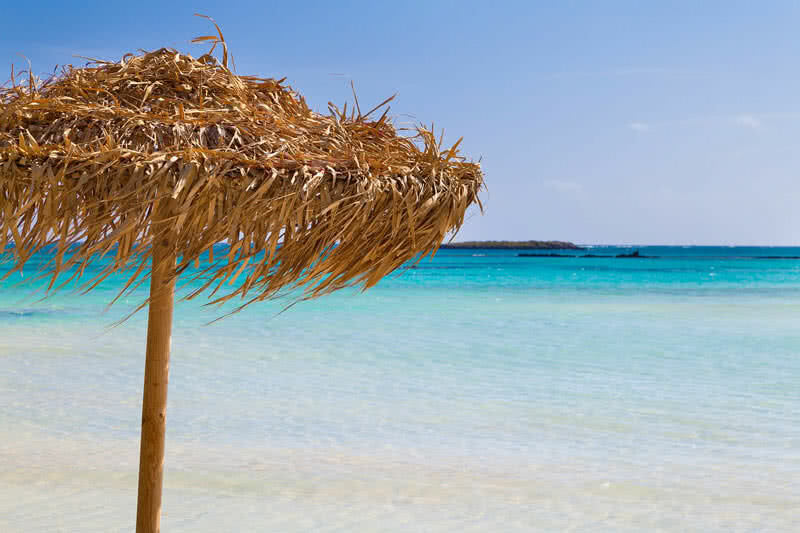 The balos beach located in the Chania city is the most fantastic beach in Crete. Balos beach is famous for its turquoise waters, an expanse of soft, white sands and natural beauty. It is an ideal place for snorkeling. Elafonissi beach, Vai beach, Falassarna beach and Preveli beach are other popular beaches in Crete Island. Visit the impressive white mountains in the West part of the Crete Island. It is also known as Lefka Ori. They called ‘white mountains’ because until the Spring they covered with thick snow and in the dry season the peaks appears in white color. The 2453 meters high pachnes is the highest summit of Lefka Ori. This mountain range also contains 50 amazing gorgeous. Apart from the great views, the white mountains is an ideal site for expert hikers. Upon 50 stunning gorges of white mountains, the most famous one is Samaria gorge. With a total length of 11 miles, it is the longest gorge in Europe. Some part of Samaria gorge are extremely narrow, the most famous among them is known as ‘Iron Gates’ where the gorge is only 4 meters wide and rise up to a height of 300 meters. It is truly a paradise of hikers and views are just stunning. Visit cretaquarium located near gournes town. You will see more than 250 amazing marine species here. There you can also watch documentaries and participate in seminars and lectures about marine ecosystem. Undoubtedly the most popular and most beautiful Greek Island. 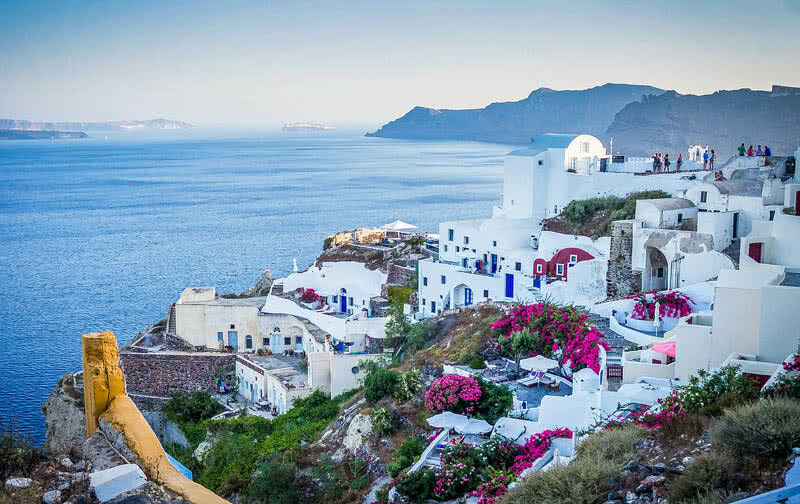 With extraordinary landscapes, stunning Sunsets, picturesque villages, splendid beaches and amazing archaeological sites, Santorini attracts thousands of visitors every year from around the world. At the first sight itself, you will fall in love with the capital of Santorini, Fira. The high cliff this impressive town is lined beautiful, whitewashed houses. The town also include blue-domed churches and other beautiful buildings. You can also find small restaurants, cafes and apartments in Fira. Like the capital town of Fira, the Oia town located in the Northwestern part of Santorini is famous for its whitewashed houses and small squares. This town contains a maze of narrow streets. Walking along these paths is the best way to explore the town. Oia is also the best spot in Santorini to watch Sunset. Home to a number of amazing beaches with crystal clear waters and red, white or black sands. The Katamari beach located in the Southeastern part is the most impressive beach in Santorini. The black sands of this beach extends over 1 mile. The water is also very clear. Kamari beach also offers a number of restaurants, bars and shops for the visitors. Red beach, perissa, perivolos, vlychada and agios georgios are other popular beaches in Santorini. You can enjoy plenty of activities in these beaches including walking, swimming, sailing, kayaking, diving and snorkeling. Visit the Santorini caldera in the Southern Andean sea. It is definitely one of most amazing natural wonders on Earth. This caldera was formed by the volcanic explosion over 3600 years ago. It measures 7.5 by 4.3 miles and filled with blue sea waters. This impressive site also surrounded by high cliffs. This caldera can be best viewed from the towns of Fira, Oia and Imerovigli. Most restaurants in Santorini are lined on the high cliffs to offer the best view of the caldera and sea. They also offer delicious foods for you. The wines of Santorini are also renowned worldwide. The Island home to some of the best wineries in the world.